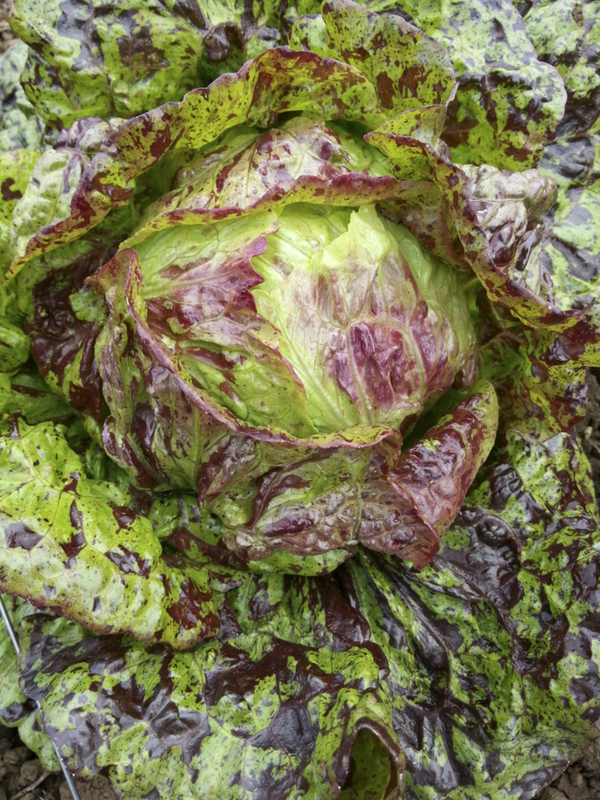 A beautiful dark spotted heading lettuce with a strong Hawaiian influence, selected for a preponderance of short rounded leaves in a tight blanching head of medium dark green leaves, selected against tip burn and downy mildew. A rare kinda cat that's adaptable to both Oregon and Hawaii. From 'Manoa' x 'Leopard', creators of the Island Gems project. Farm Original Variety! OSSI (Open Source Seed Initiative) Pledged Variety.